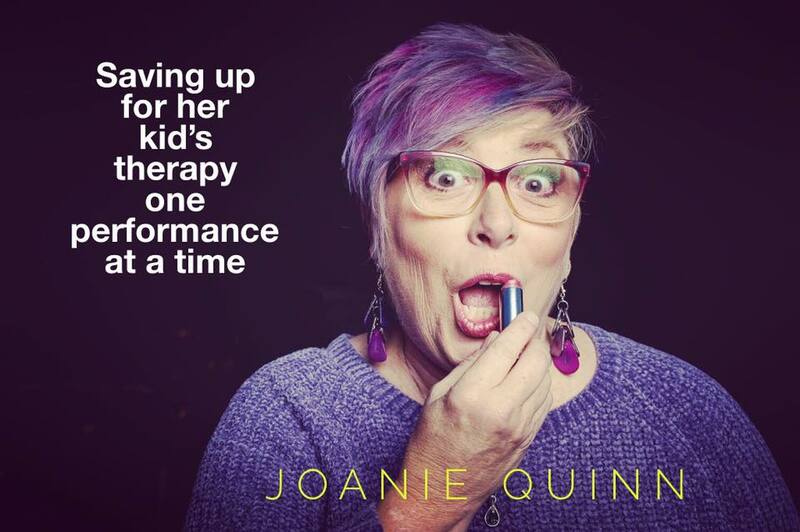 Joanie Quinn. Comedian. Super Mom. "I have 4 children - from 3 different Mothers. I think that makes me the 'Angelina Jolie' of Southwest Portland..."
"You were AMAZING last night and you ROCKED it! You are unbelievably talented. My stomach actually HURTS this a.m. from laughing so hard. Sooo very therapeutic. PLEASE let me know when you have another show." ​[after "Spilt Milk"] cause honey, you're on your way. WOW!" "ROTFL! You crack me up! I need you back training with us & keeping us laughing the whole time. I could just skip the ab section, because your jokes would be making us laugh our abs strong." ​"Unloaded Comedy - Laugh Yourself Clean"
KPTV FOX 12 interview about Spilt Milk!